Last time we left, David was beginning to draw the picture for us, comparing the thought and care that had gone into an operations manual for a hotel, with the ‘operations manual’ for Christians. It ensures that His children grow in His image. Remember the owner worked it all out in advance. Do we think less of the great God of the universe? Do we seriously believe that He would try something and when it didn’t work, move to a backup plan? “Now with that in mind, let’s turn back to Galatians 3. One of the reasons Galatians is easily misunderstood is because Paul uses the word “law” in so many different ways. Usually when we hear the word “law,” we think of a standard of conduct, like the 10 Commandments. Yet in Galatians, very often Paul is not referring to God’s standard of righteous conduct, but rather the agreement between God and Israel. There is an important distinction. In the example of the hotel, each employee would have signed an agreement, or a contract, spelling out what the employee’s obligations are, and what the hotel will do for the employee. Most likely that agreement would have included that the employee would follow the operations manual. For Israel, their part of the covenant was to obey everything that God said. If God gives a law, there is no need for a mediator, because the matter it is not open for discussion with the people. A mediator is only necessary when two parties have to agree to something. This shows that he is talking about the covenant, the agreement, rather than the laws Israel agreed to keep. So the covenant with Israel was added to the promises made to Abraham, and it was added because of transgression—because of sin. We have to remember that there were some 4 centuries in between the promises to Abraham and God’s redemption of Israel. Even though Abraham kept God’s commandments, statutes, and laws (Genesis 26:5) by the time we get to the Exodus, Abraham’s descendants had forgotten all about the right standard of conduct. They did not have any idea of the best way to live. So God arranged a covenant as a way to teach Israel how to live, and to prepare her for her Messiah. Going back to the hotel example, if somebody comes in and asks for a job, the hotel manager knows that this person may not have a clue about the hospitality industry. But because the manager has seen how well the owner’s system works, he trusts that if the prospective employee will be faithful to the employee contract, and follow the operations manual, he too can contribute to the positive experience of the guests. 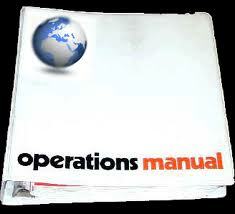 The operations manual is the means by which an employee learns the best way to do things. The issue Paul is addressing in Galatians is not the law of God, which existed long before the covenant. The problem was that even though the Galatians had received the Holy Spirit, they were being influenced by Judaizers into believing that they could be made right with God on the basis of their own works, rather than on the basis of faith in Jesus Christ. and a point we need seriously to meditate upon. David’s message will conclude next time.